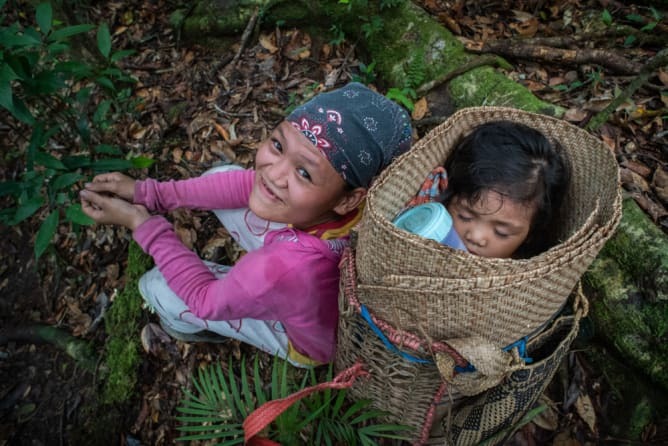 For five years I have been photographing the everyday life and culture of the Penan as well as the effects of modernity and illegal logging on their way of life in the rainforest of the Malaysian state of Sarawak on the island of Borneo. The Penan are an indigenous tribe of originally nomadic hunters and gatherers who live in and from Borneo’s rainforests. 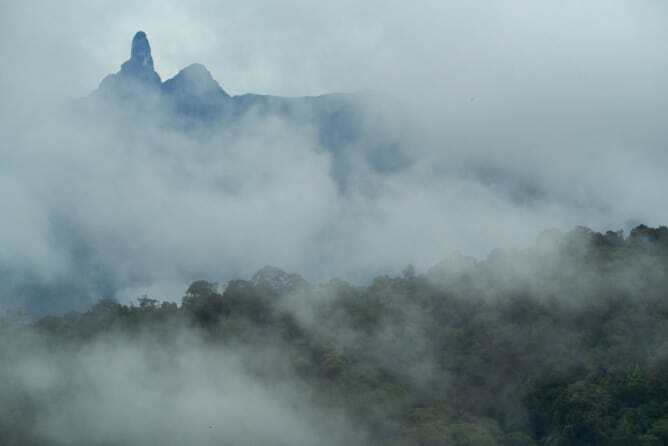 The Penan became internationally known in the 1980s through Swiss environmental activist Bruno Manser. They hunt with blowpipes and poisoned arrows, fish and collect fruits and plants. 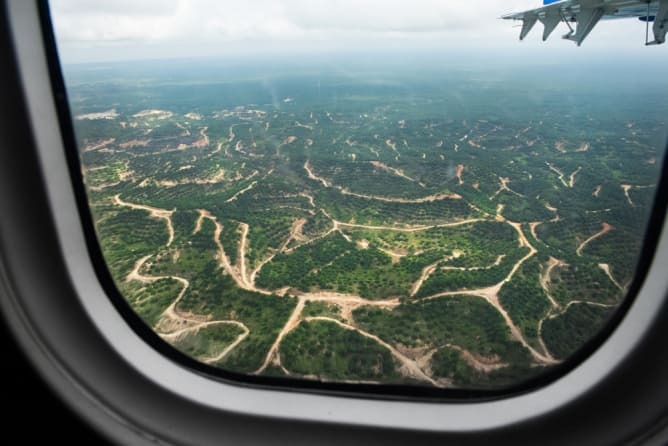 Since 1970, over 90% of the rainforest in Sarawak has been cleared and palm oil plantations are spreading. 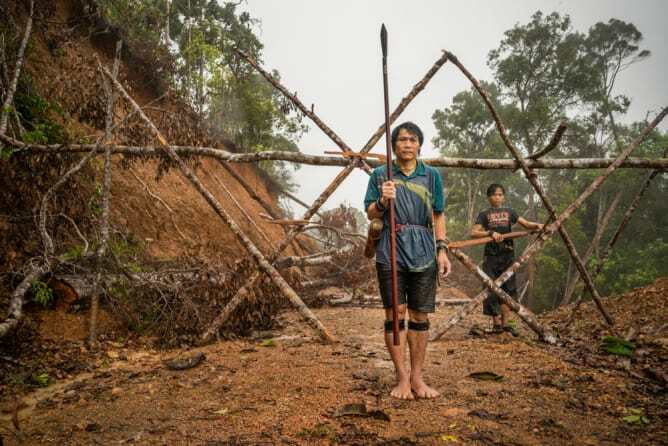 Due to the loss of their livelihood, most Penan have been forced to settle. 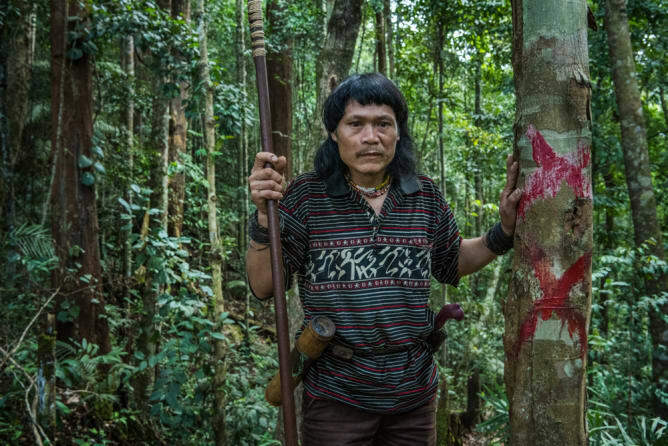 In the area of the upper Limbang river the clan around Headman Peng Megut has managed to defend their area against the timber industry until today. 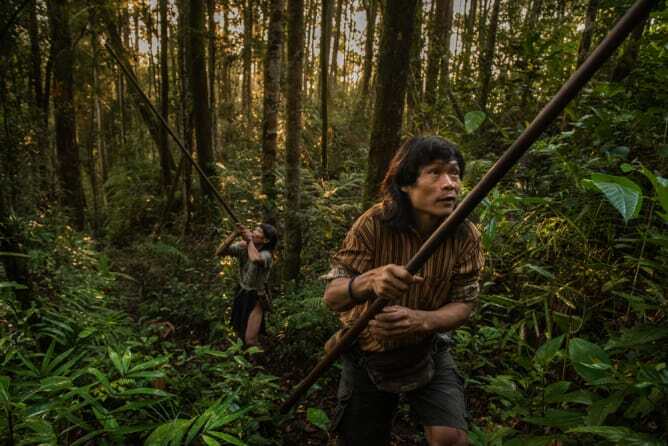 They are some of the very last Penan who still roam the rainforest as nomads. 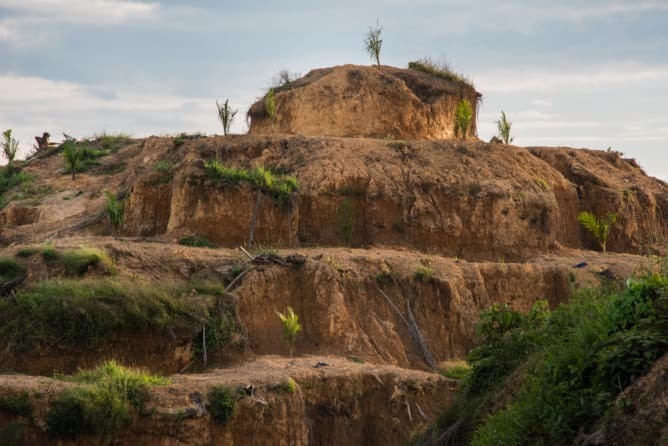 But their paradise is threatened by deforestation activities and new plantations. They have set up blockades to prevent the loggers from entering. The blockade has already been destroyed three times and they have rebuilt it every time. 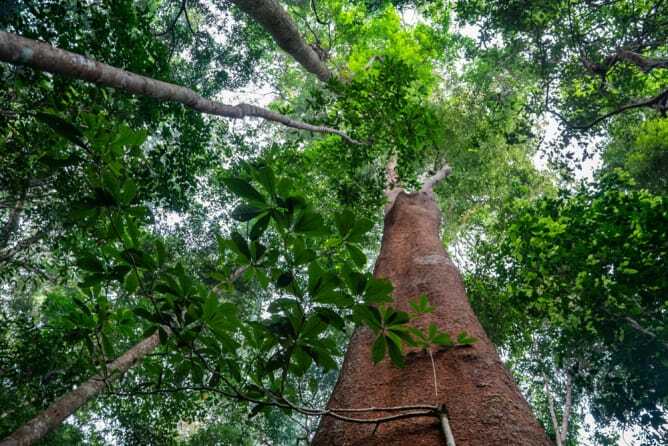 But the loggers who bought the logging licenses for this forest from the corrupt government are not giving up. They keep trying to penetrate this last area of primary forest. If the Penan’s land rights are not finally recognised by the government, their unique culture will soon have disappeared just like the world’s oldest rainforest. 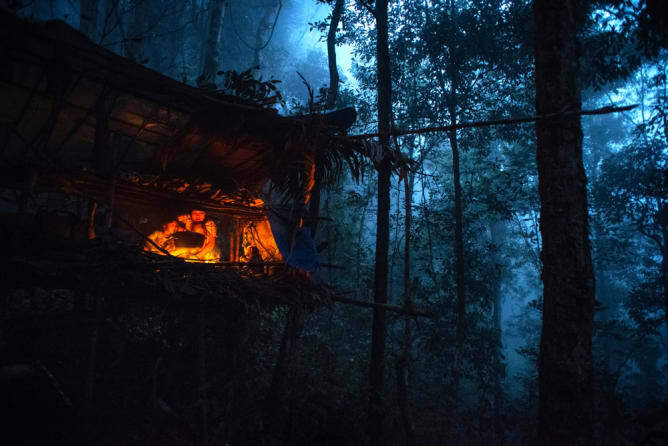 The book «Doomed Paradise - The Last Penan in the Rainforest of Borneo» is published by the renowned Zurich art and photo book publisher «Scheidegger & Spiess». It will be published in September 2019 parallel to a photo exhibition at the Kornhausforum Bern. Ian Mackenzie, the Canadian linguist, has spent many years researching and recording the language and myths of the Penan. Some of these oral legends will flow into the book and provide insight into the Penan’s thinking and feelings. This will also give back to the people themselves some of their culture: written down, the legends will be available to the Penan for reading and reading aloud. 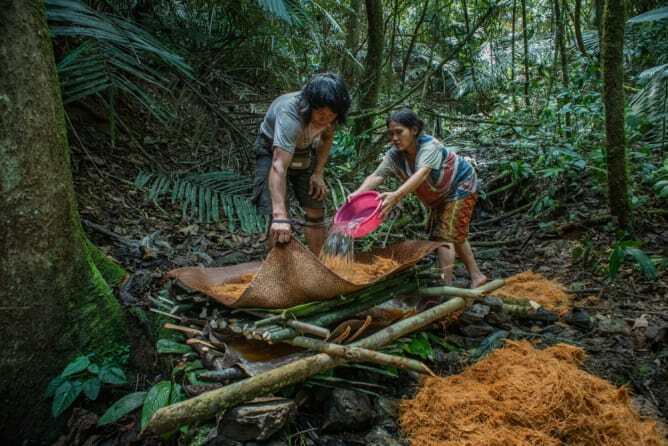 Lukas Straumann, Managing Director of the Bruno Manser Fund, writes a foreword with the most important background information on the Penan and their culture. He classifies the current situation historically and politically and provides the reader with an overview. All texts and also the legends to the pictures are printed in German, English and Penan. The photography expert Nadine Olonetzky accompanies the creation of the book from the publisher’s side. It is designed by the award-winning graphic artists of the Atlas Studio in Zurich. In order to cover the costs for graphics, printing, editing and proofreading, we need your support – become part of this project! Pre-order the book and support the production! 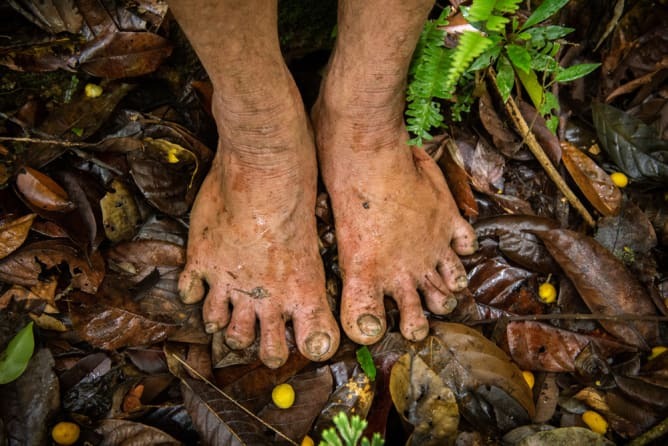 I spent many weeks with the Penan nomads in the rainforest and was able to participate in their daily lives. The family of Peng Megut has become my second family. I experienced their traditional life in the forest, the cosiness of sitting together by the fire in an open hut in the middle of the rainforest, eating sago and game, and listening to stories. I have seen the incredible beauty of nature and experienced the feeling of being part of it. The friendliness of the Penan and their tradition of sharing have shaped me. I was afraid after meeting a cobra. I witnessed the horror when they discovered that their forest was being sold and is to be cleared. I saw the brutal destruction of the loggers. I was there when the blockades were built and destroyed. I accompanied Peng Megut when he got on a plane for the first time to meet his lawyer in Kuching. On the last trip I heard the howling of the chainsaws all the time. 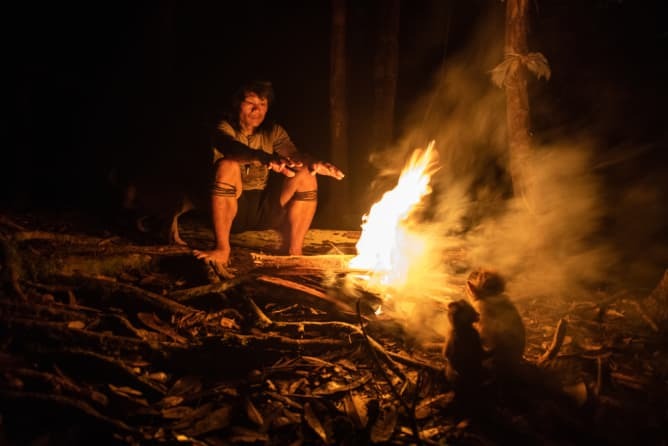 My friend Peng Megut and the Penan need help, he asked me to tell the people in my home country what I experienced in the rainforest of Sarawak. I want to keep this promise with this book. 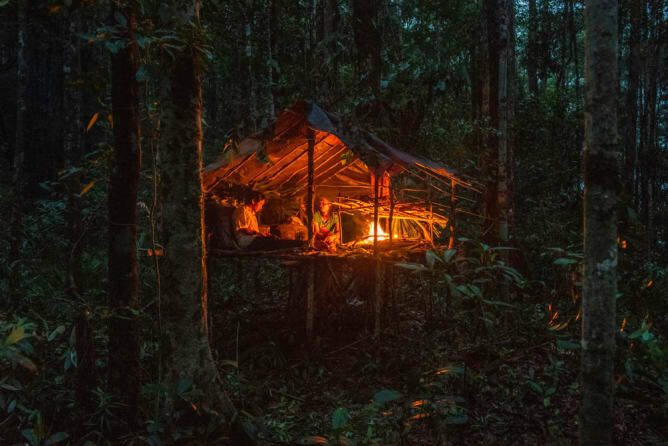 The monograph «Doomed Paradise - The Last Penan in the Rainforest of Borneo» is aimed at a broad audience, as well as professionals and educational institutions. Its goal is to draw attention to the unique culture of the Penan and their threat from the deforestation of the rainforests. The topic raises socio-political questions that also affect our consumer society. 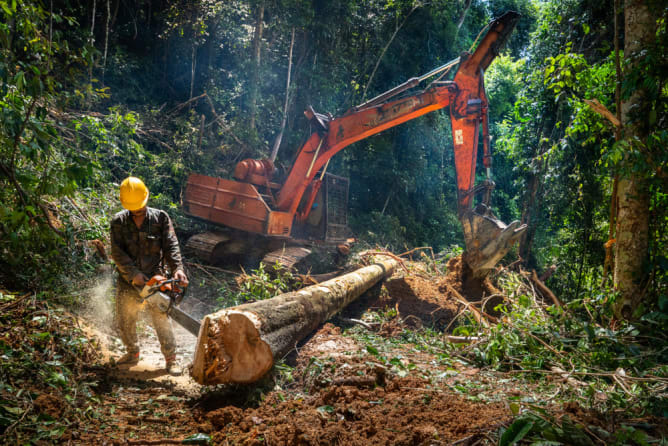 Global warming and palm oil consumption are directly linked to the machinations of the timber industry. The production of this book is supported by public institutions and Swiss foundations. However, 20,000 francs are still missing to secure the financing. This project ended successfully on 16/12/2018 09:26! You will receive a personal invitation to the exhibition opening and book vernissage at the Kornhausforum Bern. In addition a set with 10 postcards from the rainforest. I invite you to the book vernissage in the Kornhausforum Bern, where you will personally get the book fresh from the press from me, with dedication on request. If you are unable to attend, I will send you a book to your home. You will receive your book, signed and on request with dedication, at the vernissage in the Kornhausforum Bern to which you will be personally invited. In addition a set with 10 postcards from the rainforest and as a special token of gratitude a rattan bracelet of the Penan. If you are unable to attend, I will deliver everything to your home in one package. You are a step ahead of your time and are already thinking about Christmas 2019. The book is the ideal Christmas present. You will get three books directly at the vernissage on September 5th to which you will be personally invited, or by mail in a package. On request with personal dedication. I invite you to an exclusive guided tour through the exhibition in the Kornhausforum Bern together with the curator Bernhard Giger. I will tell you the stories behind the pictures and answer all your questions. You will also receive a fine art print (A4) of my choice, the signed book with dedication and a set of 10 postcards. I invite you to an exclusive guided tour through the exhibition in the Kornhausforum Bern together with the curator Bernhard Giger. There I will tell you the stories behind the pictures and answer all your questions. You choose your favourite picture and receive an unframed fine art print in the format of your choice (max A3). Of course you also get the book, signed by me with the desired dedication and a set with 10 postcards from the rainforest. With your generous donation you make it possible that 50 books find their way back to the Penan in Sarawak. Each book will be packed in a plastic folder to protect it from rain and moisture. You will be listed with your name or an entry of your choice in the book as a supporter. Further you will get a signed fine art print of your favourite picture in the format of your choice (max A2) unframed. Of course you will also receive the book, if you wish with dedication, a set of 10 postcards and an invitation to the vernissage. I will personally tell you how and when the books arrived at the Penan. It is my goal that all photographed persons receive a book. Tomas Wüthrich is a freelance documentary and portrait photographer. His pictures are published in GEO, Das Magazin, NZZ am Sonntag, Die Zeit, Schweizer Familie and exhibitions. For his work he has received several awards, including the Photography Prize of the Canton of Berne, the Swiss Press Award and most recently the Swiss Photo Award vfg selection 2018.